Professor Freedman has two primary areas of academic interest. One is constitutional law and history, with a special emphasis on the history of the Revolutionary period, First Amendment topics, and separation of powers, including remedies for Presidential misconduct. The second is litigation-centered and includes the fields of civil and criminal procedure and strategy, with a focus on the death penalty and habeas corpus. He has testified on these matters before Congress and other legislative bodies, and is regularly quoted in the media. Professor Freedman is the author of Habeas Corpus: Rethinking the Great Writ of Liberty (2003) and of Making Habeas Work: A Legal History (2018), both publications of New York University Press. He was named the Distinguished Faculty Lecturer for Fall 2017 for his death penalty scholarship and has been designated the John DeWitt Gregory Scholar for 2018-19 to pursue his habeas research. Professor Freedman is actively involved in the continuing professional education of lawyers and judges, and in providing pro bono litigation advice and representation, most recently with respect to issues arising from detentions at Guantanamo and other aspects of the campaign against terrorism. Professor Freedman serves as the Reporter for the ABA's Guidelines for the Appointment and Performance of Defense Counsel in Capital Cases, which were released at a conference at the Law School and are regularly relied upon by courts at all levels. He is a recipient of the Dybwad Humanitarian Award of the American Association on Mental Retardation for his work in exonerating an innocent Virginia death row inmate in Virginia. He is a member of the American Law Institute, a fellow of the American Bar Foundation, and a director of and counsel to the National Coalition Against Censorship. 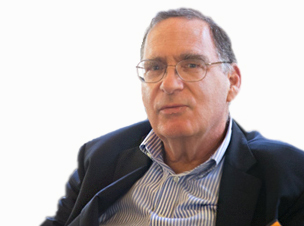 Professor Freedman formerly chaired the New York City Bar Association's Committee on Civil Rights, and has served on its Executive Committee as well as its committees on capital punishment, communications law, and legal history. Before coming to Hofstra, Professor Freedman was a litigator with the New York City law firm of Paul, Weiss, Rifkind, Wharton & Garrison, where he pursued both a general commercial practice and numerous pro bono matters. Previously, he was a law clerk to Judge Irving R. Kaufman of the U.S. Court of Appeals for the Second Circuit, studied abroad on a Fulbright Scholarship, and served as an editor of the Yale Law Journal.